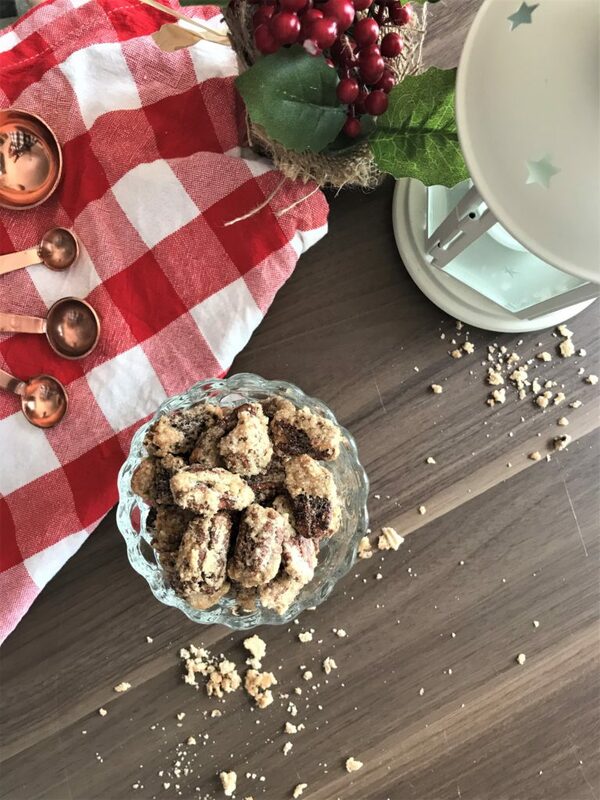 Ever wondered how to make sugar coated pecans? 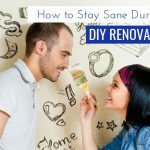 It’s one of the easiest things you can do! 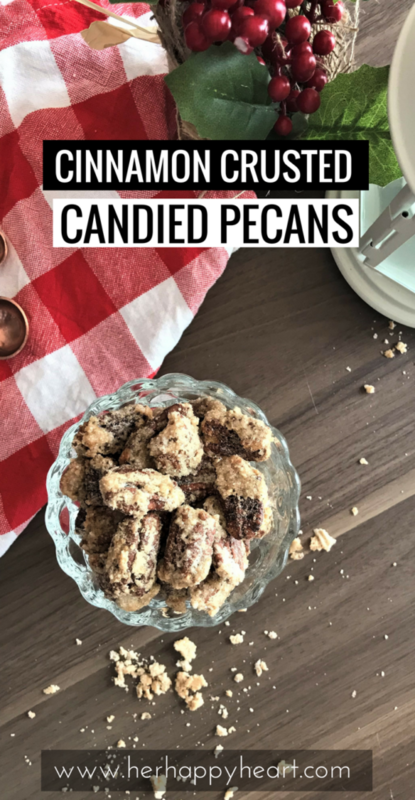 These candied pecans are probably my most-requested dish (can we call them a dish? 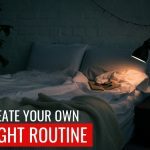 Let’s do it) of all time. No matter the occasion, once someone has munched on these, they are hooked for life. It’s the dish (there I go again) that you bring to a Christmas party with ten printed copies of its recipe, because once everyone hears how easy these are to make, they all want a try. 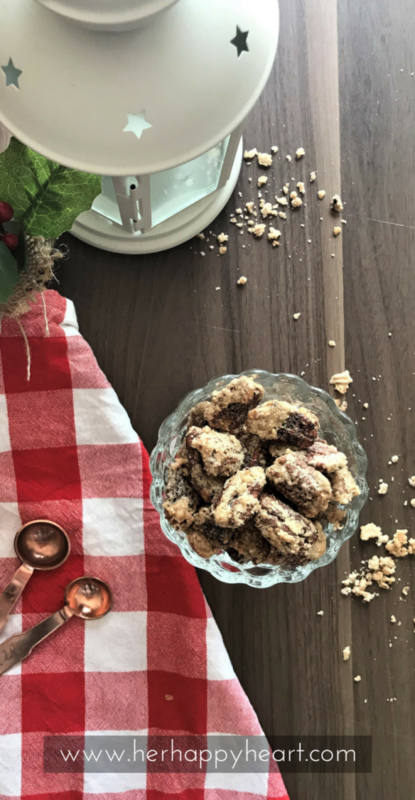 I can’t take credit for this candied pecans recipe, let me be clear. It has been passed between friends and family members for years, it seems, and was actually given to me by a dear family friend who would bring them to our family friends’ annual Christmas gathering. 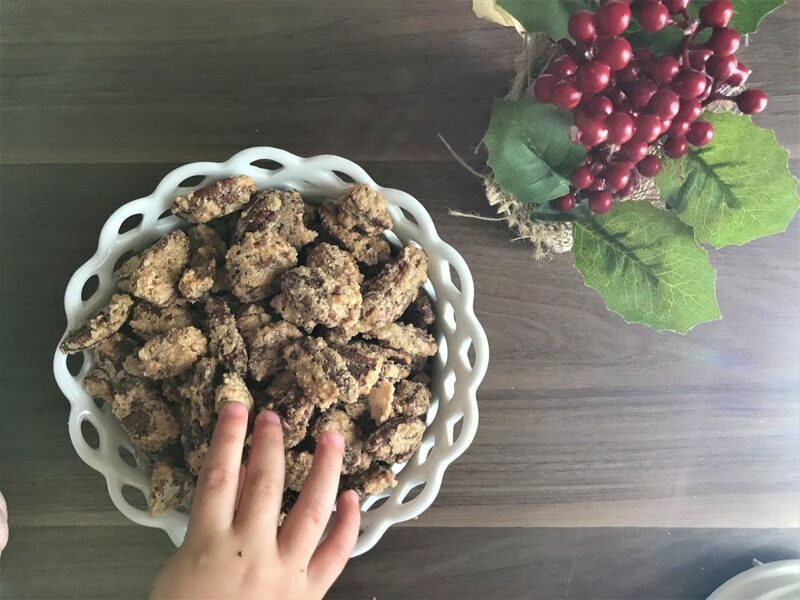 Thanks to her, I learnt how to make these pecans before I learnt how to roast a chicken. For me, Christmas isn’t Christmas until I’ve popped a batch of these in a big glass jar on the bench. 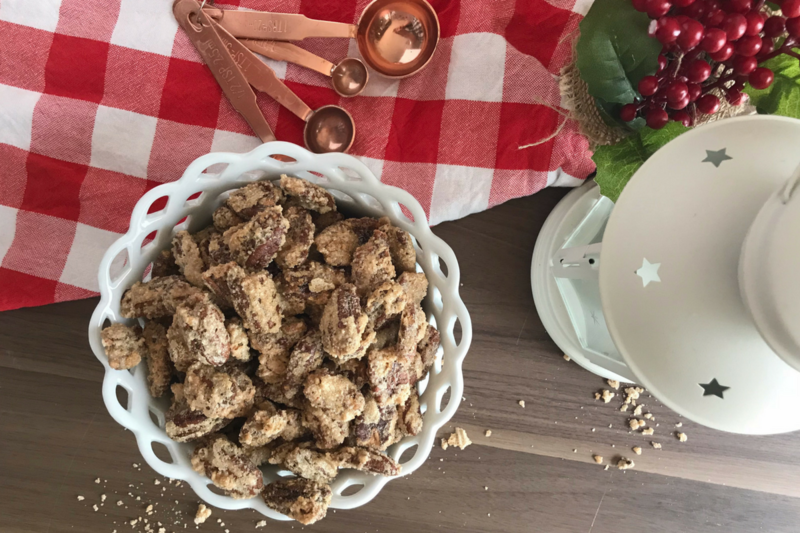 These candied pecans are the perfect accompaniment to gift wrapping, decorating the tree, Christmas crafts with the kids, and dare I say it, even Christmas cookie baking. They’re a lovely festive treat you can serve in a little ramekin alongside a cup of tea with a friend. They’re the ultimate party pleaser. And a cute little jar of them makes the sweetest, easiest gift that can be pumped out in bulk for all your loved ones. Toss them through a salad, sprinkle them on top of a cake, serve them alongside the Christmas ham. 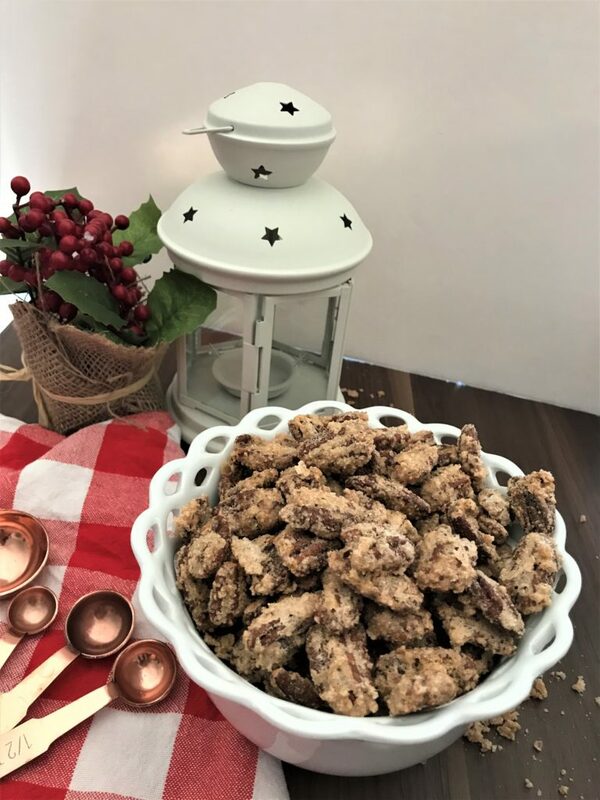 These sugar coated pecans are super versatile and almost guaranteed to bring a smile to any Christmas-lover’s face! Preheat oven to 150º C fan-forced. Line two baking trays with parchment paper. Combine egg white and water in a large bowl. Beat at high speed until egg white thickens and soft peaks form. 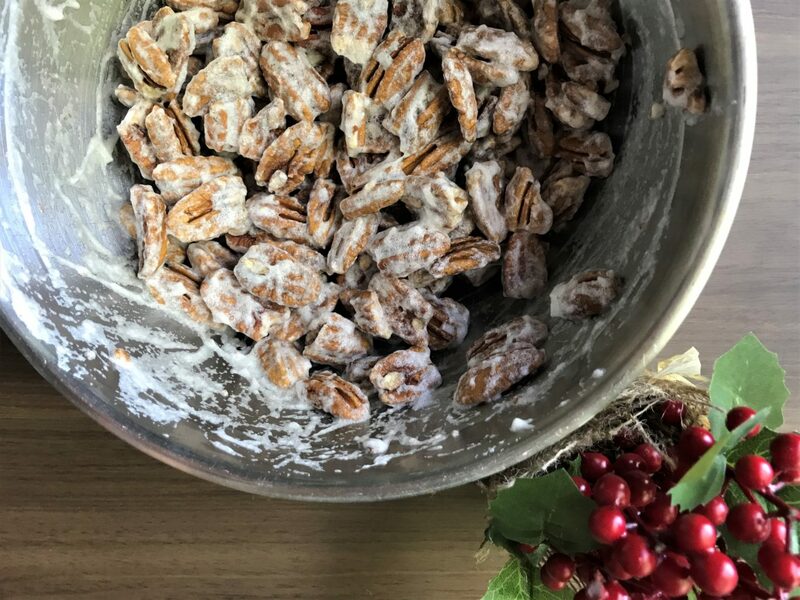 Mix the pecans into the egg white mixture, ensuring an even coating. Combine the sugar, cinnamon and sea salt. Add to the bowl with the pecans, tossing well to combine and evenly coat. 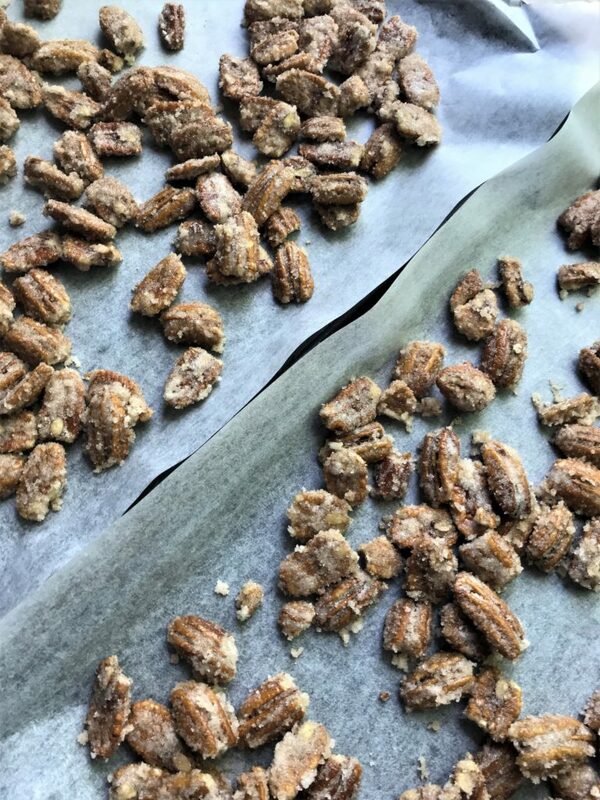 Spread pecans in a single layer over prepared baking trays. Place in oven and bake for approximately 40 minutes, tossing every 10-15 minutes in order to prevent pecans from sticking together. Pecans are cooked when they are slightly golden, dry and no longer stick together. Allow to cool completely before serving. You can find my copper finish measuring spoons at Kmart.